I still cannot believe Christmas is less than two weeks away and I still have a few things I need to grab (like always). But sometimes that's when you find the perfect gift for one of your favorites! 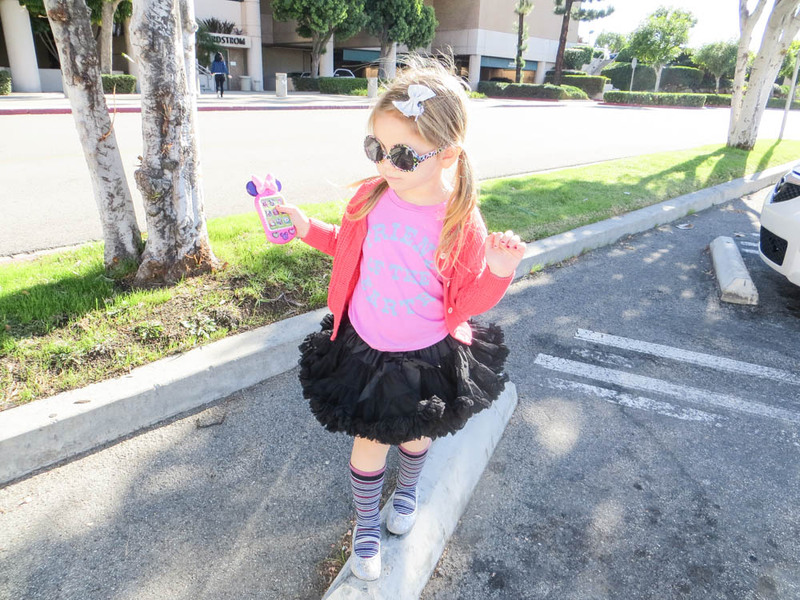 Today I took Adie to her pre-school walk-thru and after we went to one of my favorite stores, Nordstrom. They seriously have everything for everybody! When Eric asked her how she like the pre-school she told him it looks awesome, I totally died but they have a three-nine month wait. So we are on the hunt for another school while we wait! But the shopping is always fun with my girl! One of the areas in our house has huge potential for being cozy and snuggled with my three favorites sipping hot chocolate or roasting s'mores by the fire! So excited! Not to mention having a fireplace mantel is just as fun! 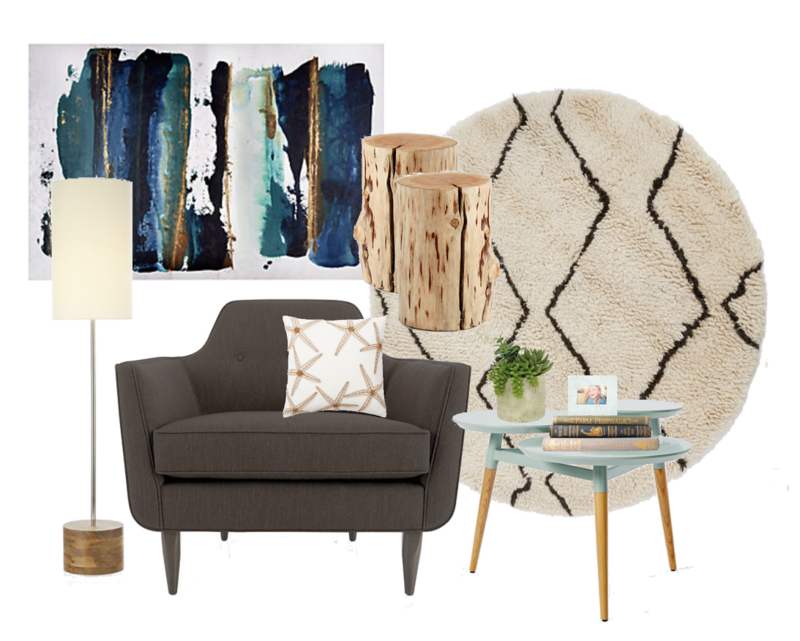 I grabbed a few things from my favorite stores for the home to create the perfect cozy spot! I cannot wait to see it all come together! I have always had my eyes on this painting from Z Gallerie. It makes me think of the ocean every time I see it which is perfect! I bought one of these wooden stumps from West Elm when they had a sale and put it in Aden's room (you can see it here) and want one in every place in the house, they are amazing! Sometimes you need to take the mood down with soft lighting and this floor lamp is perfect and looks totally kid friendly! I think the space needs two chairs and I love that you can customize this one and totally grab a few of these for the babies!!! Pillows always are a good idea for pillow fights adding style and color to any space. I love that you can add, mix match and start all over and it's simple with pillows! Anything nautical/beachy always catches my eye and tugs at my buy me bone and this one is no different! And these ones are always fun and I love the one we put in Aden's nursery! Simply fell in love with this side table and the color, enter heart eyes emoji here! Add a few books like the one I put on my Christmas list (here) and a cute picture, your favorite succulents and you're just about done! last thing or maybe the first thing is the rug and I always love a different style, different texture and soft rug. This round one is perfect to pull the entire room together and it's on sale! Can you totally see it?!? Snuggled in front of the fireplace, a little fire going, your favorites and filling your home with laughter and memories! I cannot wait! Like all things, it will slowly but surely come to life but for right now I have it all planned out and eventually I can show the final cozy spot!